DJI’s oft-overlooked Phantom 3 4K is basically a Phantom 3 Professional, but with the standard Wi-Fi video downlink, rather than DJI’s LightBridge technology. That means your range is going to max out at a few thousand feet in ideal conditions, rather than over a mile, but otherwise, it’s an extremely capable drone. 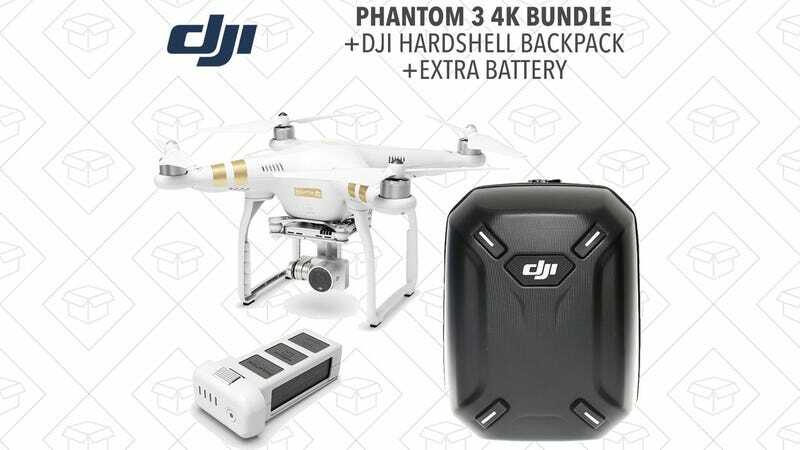 Today on eBay, you can get the drone, a backpack, and an extra battery all for just $600, or $30 less than Amazon is currently selling the drone by itself. The backpack and extra battery are essential accessories for anyone looking to take up this hobby, so if you’ve been on the fence about picking one up, I wouldn’t hesitate.